December 15 – April 15 is a special time of year. 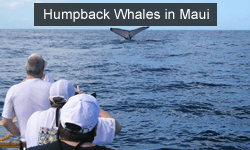 That’s the official “whale watching season” here on the island of Maui, when over 10,000 humpbacks annually migrate from the summer feeding grounds in Alaska. Truthfully, however, the first humpbacks are often spotted sometime towards the end of September, with the last sightings frequently occurring into the first week of June. While it’s rare to spot a humpback whale outside of the official “season,” you never know what’s causing that splash—especially as winter approaches. 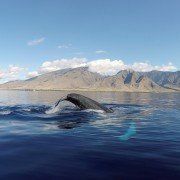 Though Maui is famous around the world for its affable and aerial humpbacks, there are other species of rarely-seen whales that are sometimes spotted in Hawaii. 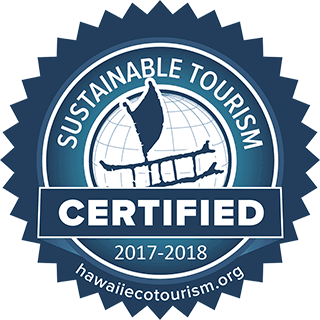 And, unlike the humpbacks that visit us during the winter, the “other” whales in Hawaii’s waters live here throughout the year. There are at least 18 species of marine mammals that live in Hawaiian waters. For the most part, these whales are spotted off the Kona coastline since the offshore trench is so deep. Here in the waters of Maui County, the waters are so shallow that the deep diving whales will rarely pay us a visit. 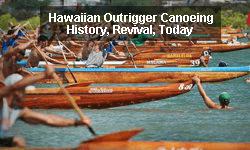 Nevertheless, there are still times when we’ll be paddling in Maui and notice a funny looking fin—or maybe a rounded, jet-black head of a species we rarely see. 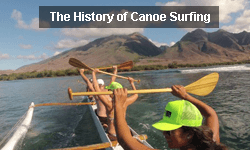 One of the best parts of paddling tours in Maui in that every day is different, and we never know what we’ll see that day when we show up for work each morning. It could be a Hawaiian monk seal splashing in the waves or a massive humpback whale breaching—or it could be a rarely-seen species like a pygmy killer whale or a pod of short finned pilot whales. It isn’t too often that these “other” whales are spotted off Maui’s coastline, but if you do encounter a rarely-seen whale, the best thing to do is try to get a photo and report it to the Cascadia Research Collective. They’re one of the only organizations that regularly studies Hawaiian odontocetes (whales and dolphins with teeth), and they’ve compiled one of the world’s largest data bases on Hawaii’s species of whales. So while humpbacks are definitely the most common whale species swimming in Hawaii’s waters, there is always the chance one of these other species could pop up and say hello. During the peak of the season from January-March, it isn’t a question of if you’ll see humpbacks—but rather which ones to watch. Maui is home to the world’s densest population of North Pacific humpback whales, who make the six-week journey from Alaska to Hawaii to mate, rest, and give birth. 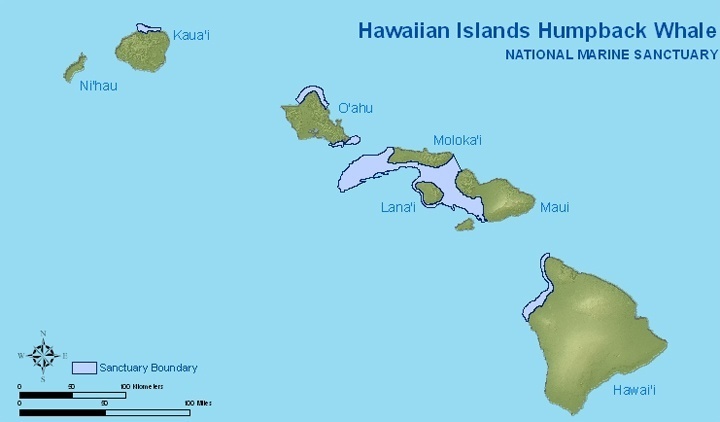 Maui is also the headquarters for the Hawaiian Islands Humpback Whale National Marine Sanctuary, and the sanctuary boundary encompasses the leeward coastline of the entire island of Maui. Commonly seen moves from humpback whales can be breaches, pec slaps, tail slaps, or spy hops, and while it’s illegal to approach within 100 yards (since the humpback whales are protected), there is the chance you could end up “getting mugged” if the whales swim over for a visit. 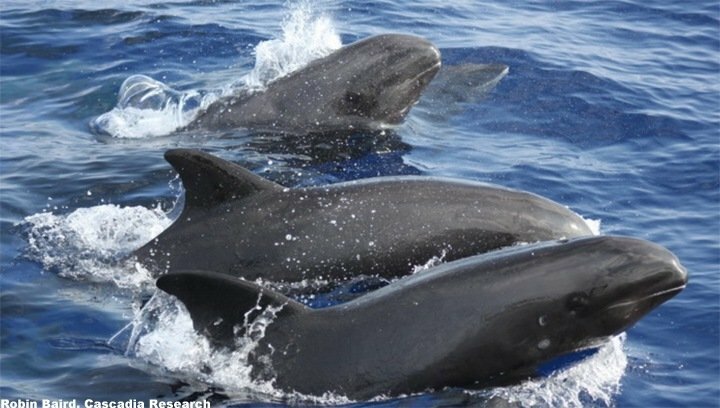 Aside from humpbacks and pilot whales, false killer whales are the most common whales that are spotted in Maui’s waters. This isn’t to say that they’re common, however—in fact, very far from from it. 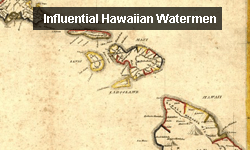 Cascadia estimates the insular population is only about 150 whales, and they spend their time traversing all of the islands from the Big Island all the way to Kauai (click here for historical tracking maps). There is another, larger population that lives in offshore waters, but they are considered to be genetically separate from the insular species and would never be seen by visitors. Closer to shore in the Main Hawaiian Islands, False Killer Whales are very predatory and love the taste of yellowfin tuna. 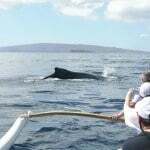 They’ve been spotted in waters between Maui and Lana‘i and off the coastline of Lahaina and Ka‘anapali, and they are one of the few whale species we might actually encounter during paddling tours in Maui. 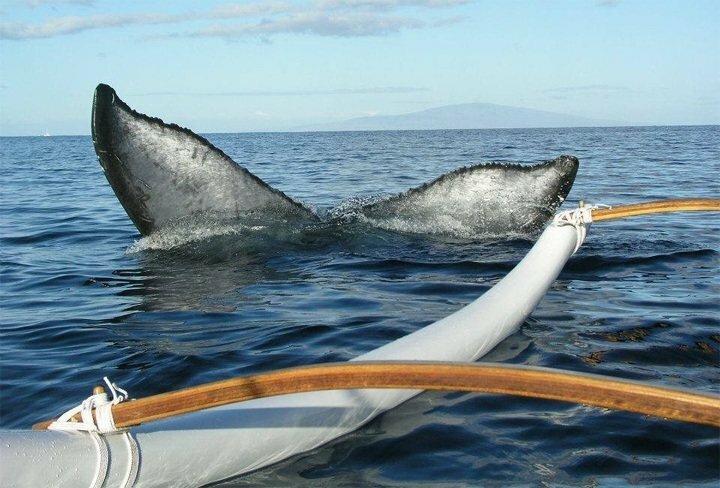 Even though NOAA estimates there are almost 3,000 Melon Headed whales in Hawaii, the chances of seeing one on a paddling tour in Maui is definitely exceptionally slim. And even though these deep diving whales will spend ample time on the surface, they tend to congregate over offshore water that is many thousands of feet deep. 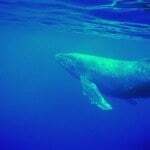 Since Maui’s waters are relatively shallow—rarely exceeding 300 ft.—the only chance of seeing Melon Headed whales would likely be during a mass stranding, an occurrence which has happened in the past on Kaua‘i and is potentially linked to US Navy testing. Nevertheless, consider yourself lucky if for some reason you ever encounter these whales; the average pod size is over 300 whales, with as many as 800 reported! Like long, sleek, black torpedoes cruising their way through the sea, it’s always exciting encountering pilot whales in the waters off Maui County. 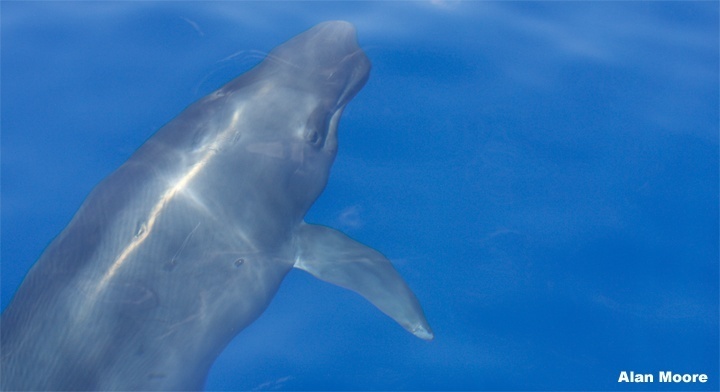 While short-finned pilot whales spend most of their time in deep, offshore waters, they’ve been known to occasionally explore the waters off the leeward coastline of Maui. 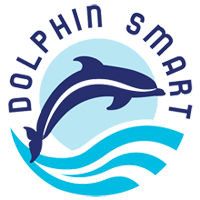 Pilot whales are one of the largest members of the dolphin family—second to only killer whales—and frequently are seen in social gatherings between 25-50 whales. Sperm whales in Hawaii are very rare. 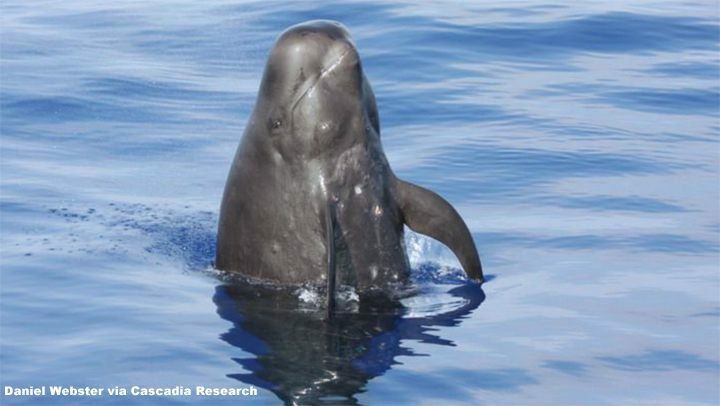 In 12 years of studies by Cascadia Research, a total of 32 sperm whales were sighted in Hawaii—31 of which were off of the Big Island. In 2014, a sick Sperm Whale was sighted off of Kihei, and it was presumed that the whale had ventured to shallower water as it fought to stay alive. Sperm whales prefer the deeper waters where they can dive for fish and squid, and the whales are able to dive to depths exceeding 3,000 feet! 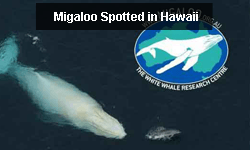 Dwarf sperm whales live in deep water off of the Lana‘i and Kona coastlines, although a dwarf sperm whale washed ashore in Kihei in December, 2013. 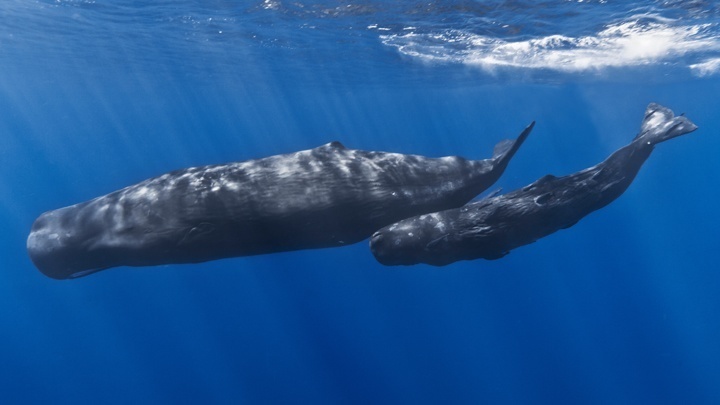 Dwarf sperm whales are deep diving whales that are rarely sighted above water, although when they are sighted they are usually “logging,” or lying near-motionless on the surface. Orca in Hawaii are about on par with the Loch Ness Monster and Big Foot; there are a number of people who claim to have seen them, but the evidence is very slim. 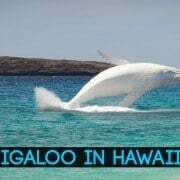 The reality, however, is that they do exist in Hawaii, but they aren’t a part of a resident population that is regularly spotted in the islands. 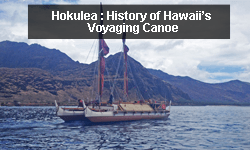 There have been a handful of orca sightings off the Big Island of Hawaii as well as Maui and Lana‘i, and a dead orca once washed ashore along the southern coastline of Lana‘i. 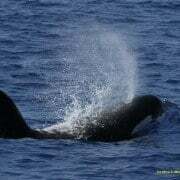 In 2013, however, a large pod of orca were spotted off the Big Island, and researchers were able to tag the orca and track them for a number of days. 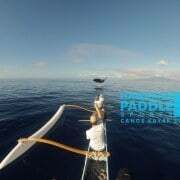 As expected, the orca swam to the west of the island to an area of offshore seamounts, and this oceanic pod of roving orca is one of the least known species in the Pacific. 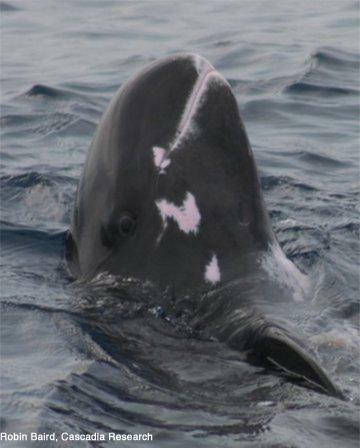 Pygmy Killer Whales are one of the world’s least-known whale species and sightings are relatively rare. That being said, the resident population here in Hawaii is the best-known grouping in the world. The same whales were spotted by Cascadia over a period of nearly 20 years, and it’s believed that these small, yet playful whales are year-round residents of the islands. Though the whales rarely venture into shallow waters, isolated groupings have been spotted and reported off the shoreline of southern Maui. They can be easily confused with Melon Headed whales, and this short brochure from Cascadia Research explains the difference between the two species. Finally, of all the whales in Hawaii’s waters, two of the most curious are the “beaked” whales that inhabit offshore waters. With a nose that resembles a bottlenose dolphin’s, Cuvier’s Beaked Whales are the more commonly seen of the beaked whale species in Hawaii. 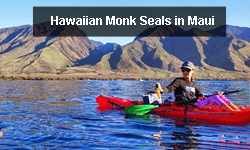 Nearly all sightings, however, occur off the Big Island, and the chances of seeing a beaked whale species while padding in Maui is slim. 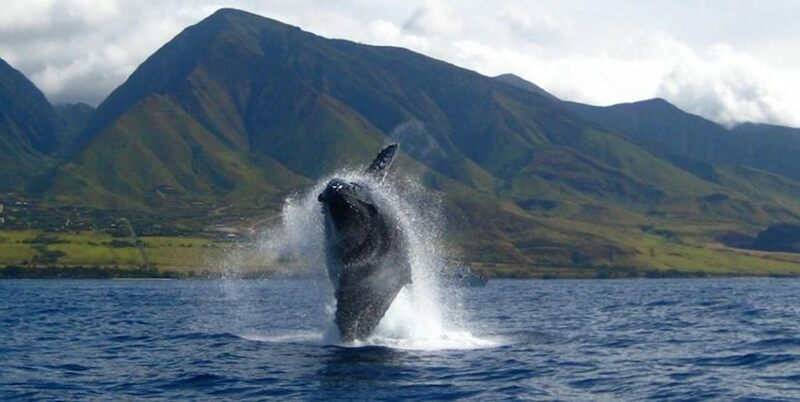 Maui Hawaii waters see hundreds of humpback whales who make the annual pilgrimage to mate and birth. 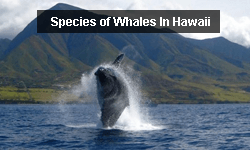 Did you know there are several other species of whales in Maui waters?